Mall hours are M-Sat 9:30 AM to 9:00 PM, Sun 11:00 AM to 6:00 PM. Stop by our arcade at Salmon Run Mall in Watertown "Fun on the Run". Play Pool, win tickets, and try out your dance moves. Play the Ticket Games and win faboulous Prizes! 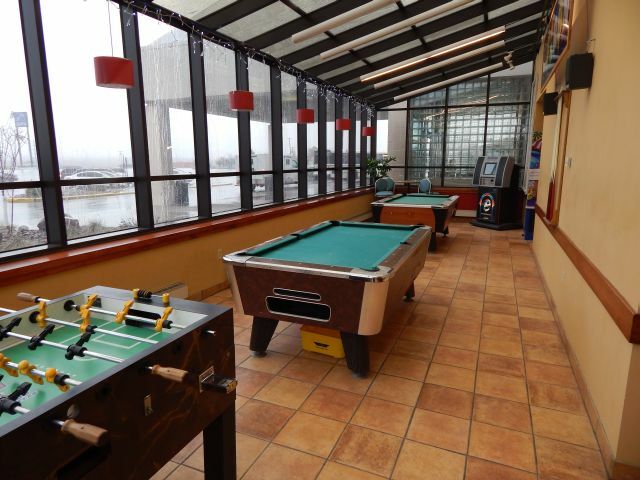 Play pool or fooseball while listening to the jukebox.